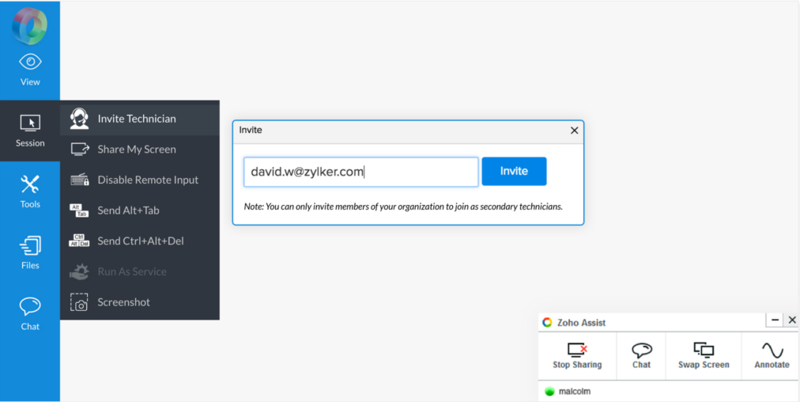 Updated January 24, 2019: We have added Zoho Assist! 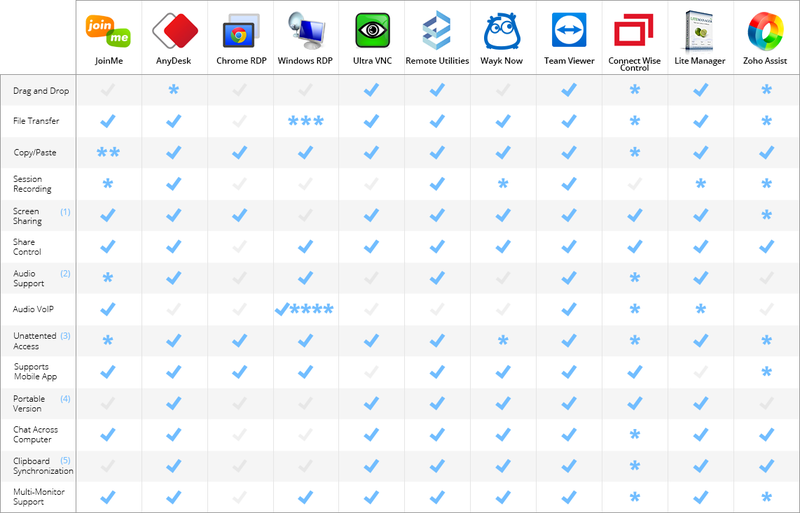 Please look below for the added Remote Desktop software review and also take a look at our updated comparison table. In the same way there is an abundance of Password Manager software and 2 Factor-Authentication methods to choose from, finding the perfect remote connection software for you or your company can be as hard as finding the perfect date on Tinder. But don’t worry, we’ve worked hard and done the background search so you won’t have to. 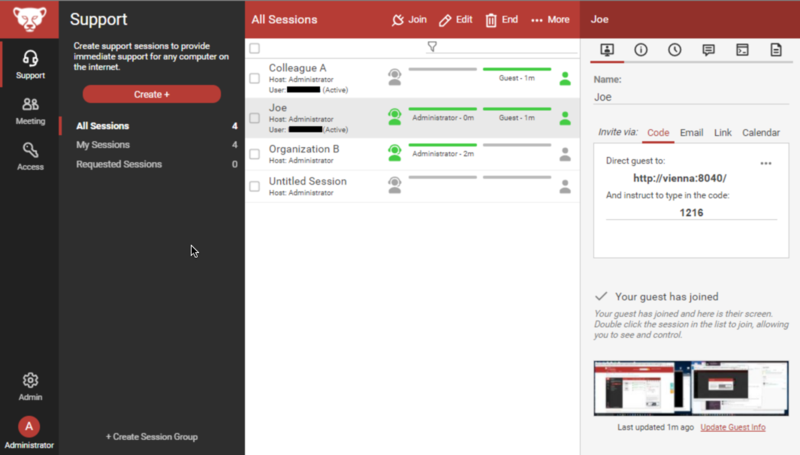 After much in-house debate and research, the following are our favorites free remote connections: join.me, AnyDesk, Chrome Remote Desktop, Windows Remote Desktop Connection, UltraVNC, Remote Utilities, TeamViewer (Personal Use), ConnectWise Control, LiteManager Free, WaykNow and Zoho Assist. 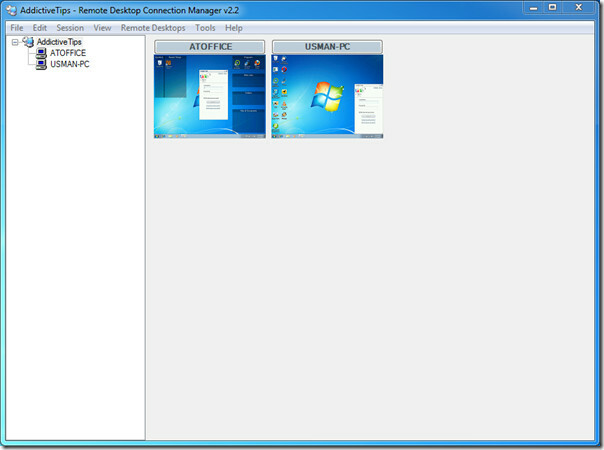 Remote connection software helps users work on a computer through another computer. These programs are a must for technical support staff, as they enable IT pros to help when physical access is impossible. It also allows anyone to start or attend meetings, collaborate on projects, and discuss business, even when they are nowhere near their desktops. 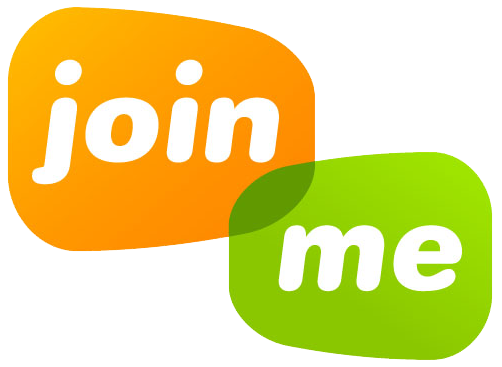 join.me is a cloud-based application that is part of the LogMeIn family. 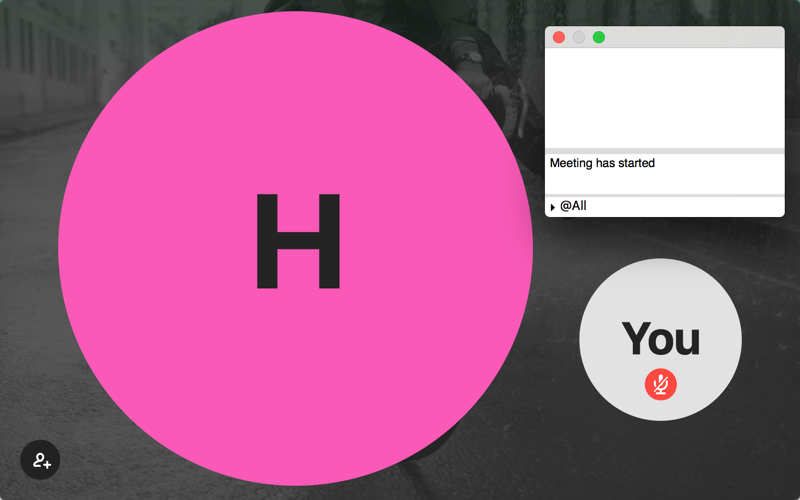 It has a simple screen with an easy-to-use sharing tool for meetings on the fly. Mobile white board: If you use join.me on your iPad, then you will love the distinctive Mobile White Board. This feature mimics an actual white board, allowing you to sketch, draw, and add pictures and graphics while doing a presentation. Easy access to support: join.me has an extensive Help section that is easy to understand. 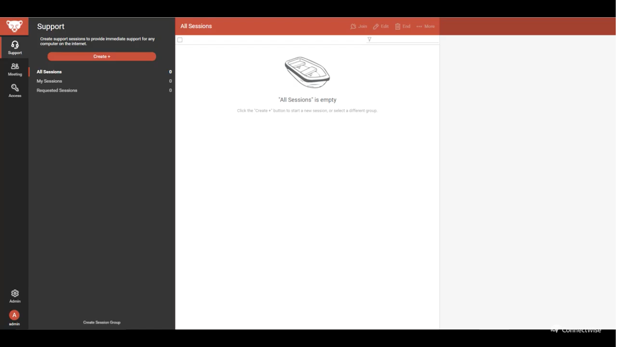 They have a user forum, a feedback form for feature requests, a knowledge base and email support (which is quite fast). They also offer phone support, but only for the Pro and Business plans. 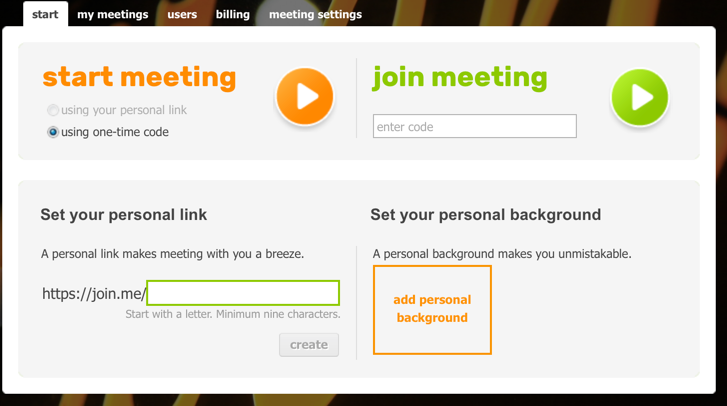 Stress-free meetings: join.me offers an easy way to conduct meetings and conference calls. There are no codes or long set-ups, and there is no additional software to install. 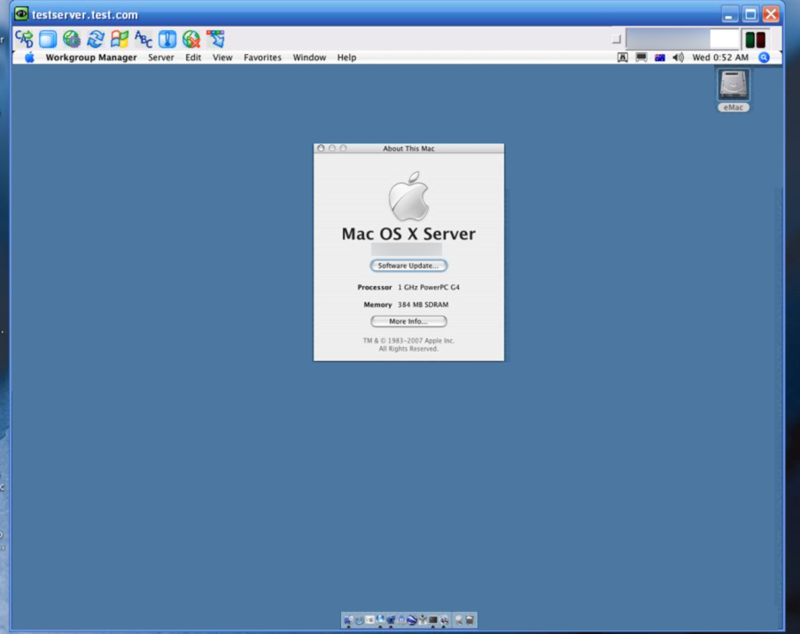 Each participant can use the session’s chat and request mouse control over the other participants’ computers without any installation. 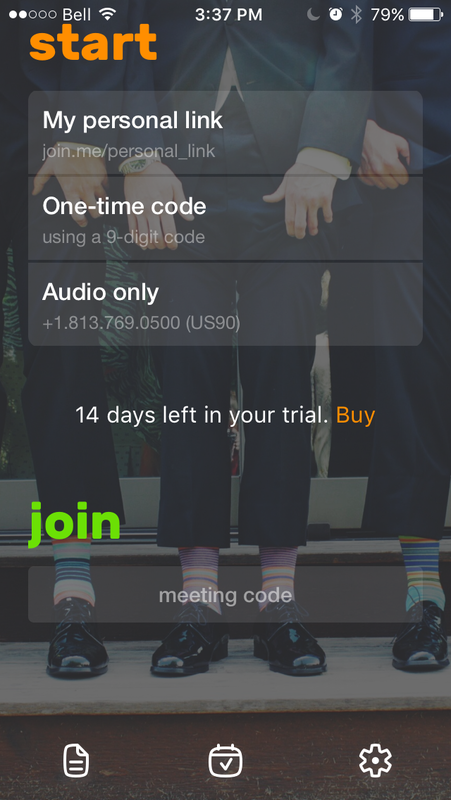 Limited mobile use: After the 14-day free trial, you will still be able to start and join meetings, but you will lose access to the join.me Pro features. join.me is perfect for sales teams, small businesses and start-ups that require a fast solution for sharing screens or doing conference calls, but it might be limited for larger businesses. 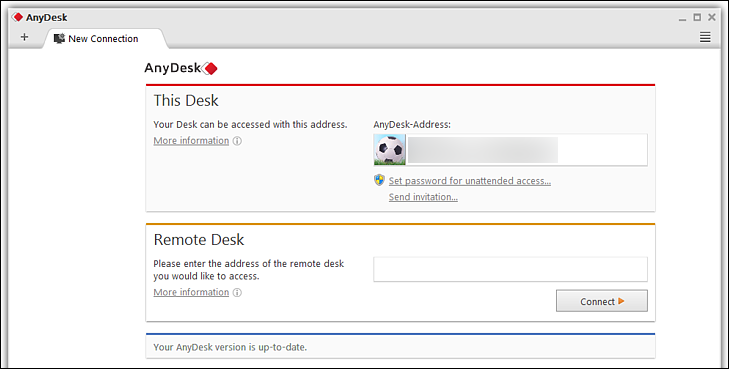 AnyDesk is a fast remote-access program that doesn’t require any installation and works without having to configure a router. No installation required: AnyDesk makes it easy to access all your programs and files from anywhere, without having to entrust your information to a cloud service. You simply need to download and launch the very small 1.1MB program file to get started, so no installation is required. Share your screen with just a URL: If you wish to share a screen session, all you have to do is send a URL. Whoever receives the URL doesn’t have to install anything, they simply click on the URL to open a link in a web browser. Unattended access: A much-requested feature is unattended access, which allows you to access a computer without any user interaction. You can connect to the computer as soon as it is powered on, and you can also connect directly to the logon screen. 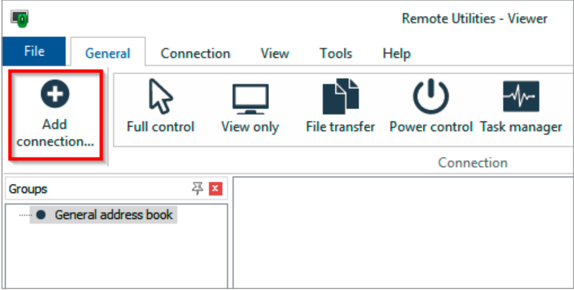 No router configuration required: AnyDesk doesn’t require any modifications to the router, like port forwarding. This means that the program can be downloaded quickly and you can start a connection in just moments. Whiteboard: The addition of a whiteboard tool to allow drawing or writing on the screen would be a plus value for AnyDesk. 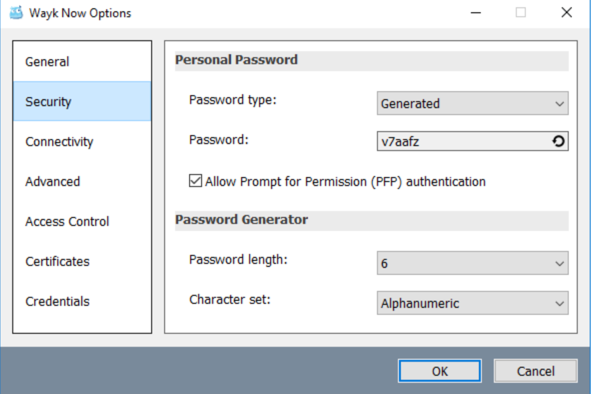 AnyDesk uses TLS 1.2 encryption, which is also used in online banking. 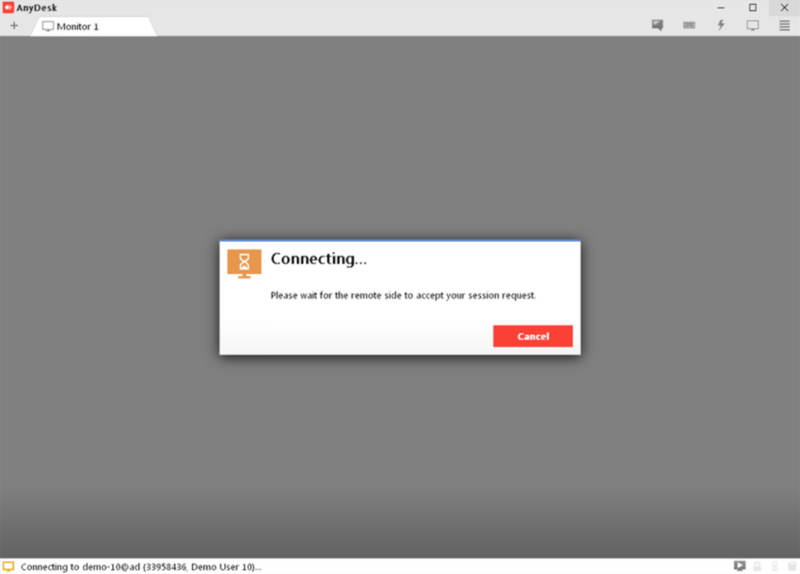 Both ends of a connection are cryptographically verified, which makes it impossible to take over your AnyDesk ID and pretend to be you. 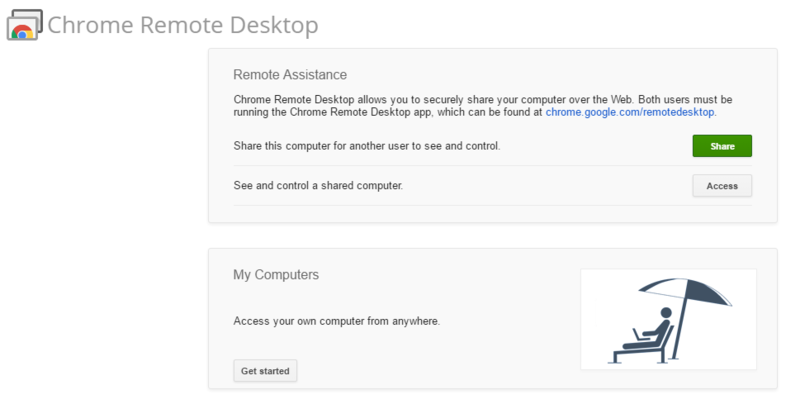 Directly linked to your Google account: Chrome Remote Desktop is linked to your Google account, so there is no need to create another account or generate a one-time code. Access any computer on the web: You can easily access any computer on the web without changing network or firewall settings. 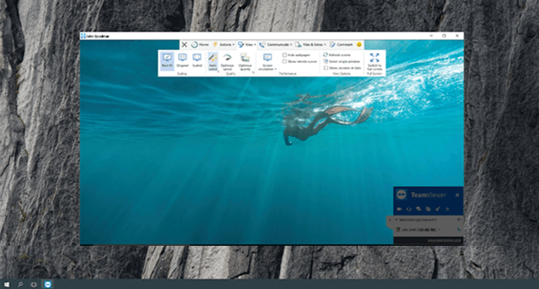 Simple screen sharing application: Chrome Remote Desktop is a simple screen sharing application and not a complete remote access program, meaning that file transfers only work through copy-and-pasting a file. It also lacks a built-in feature to let you chat across computers. 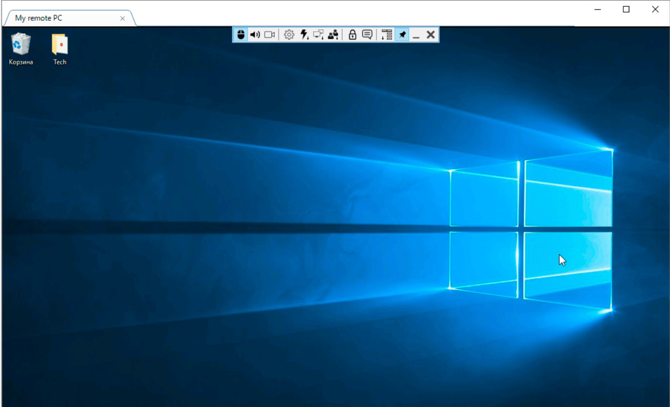 Missing features: Other than window resizing and the print screen option, Chrome Remote Desktop is lacking many features, such as audio support, video or instant messaging, printing remote files to a local printer and sending custom keyboard shortcuts. 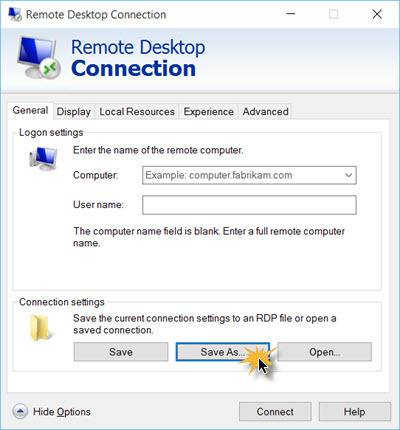 Remote Desktop Connection is Windows' tool for accessing and controlling a computer from a remote location. Clear display: The display is crisp, fast, and colorful, and the connection is quick and responsive. Other than the small blue toolbar at the top of the screen, which shows that you’re using Windows Remote Desktop, you wouldn’t know you weren’t using the computer on the desk next to you. 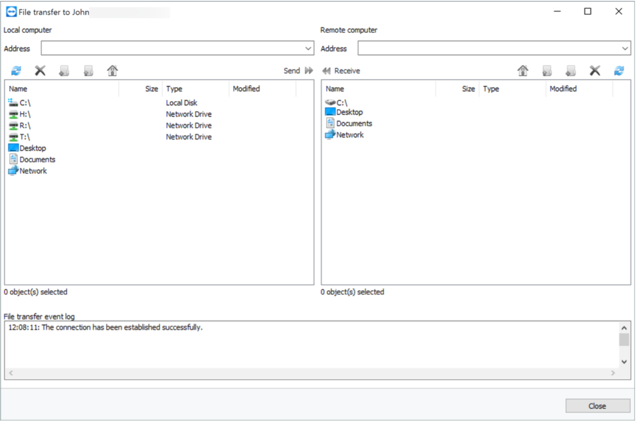 Easy for Windows users: If you mostly use Windows, enabling RDC on your home server and directly connecting it over your LAN is faster and much easier than downloading and setting up a third party application. Minimal effort: Once past the initial set up, which takes minimal effort on the client side, there is not much to do after that. You have tons of options and features that allow you to manage, access, and troubleshoot the remote computer. It’s totally free and without restrictions. 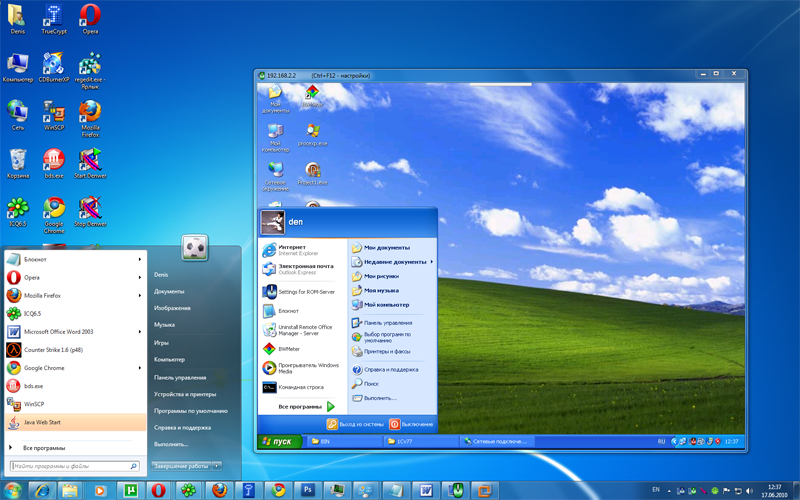 Windows Remote Desktop was made for home and office use with Windows computers. It is perfect for local network administration in a professional environment, but certainly not for worldwide technical support calls. 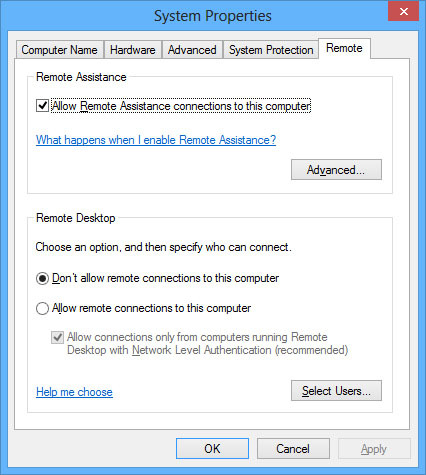 WindowsRemote Desktop is more secure than some remote administration tools, such as VNC, that do not encrypt the entire session. It can be secured using SSL/TLS in Windows Vista, Windows 7, and Windows Server 2003/2008. Connect over a browser: UltraVNC offers the option of bypassing the UltraVNC Viewer program and instead connecting to the server over a browser. 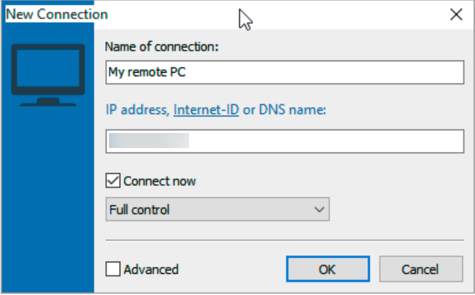 Router configurations required: To allow the server to accept incoming connections from an UltraVNC client, you must configure port forwarding on the server; and for the port forwarding to be configured, you also need to setup a static IP address for the server. Settings can be confusing: UltraVNC is a bit more complex to use than other applications. If you aren’t too tech-savvy, UltraVNC settings can get confusing since it is an open-source project that was made exclusively for Microsoft Windows. UltraVNC is enterprise-driven, since it might be too complicated to set up for basic users. It’s made for IT enthusiasts or those with an advanced knowledge of computers and remote access, as most of the settings can be fine-tuned, making it perfect for them. 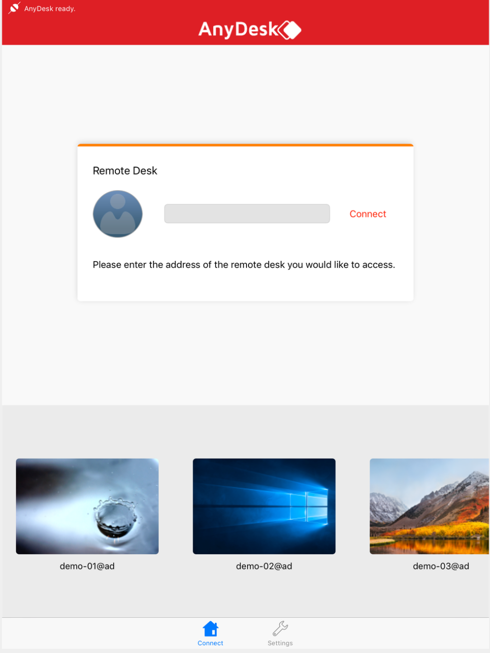 Doesn’t work on macOS: If you’re working on a Mac, then you should look at other remote access solutions since Remote Utilities doesn’t support macOS at the moment. Because of its complexity, Remote Utilities is a better fit for power users than for average home users. 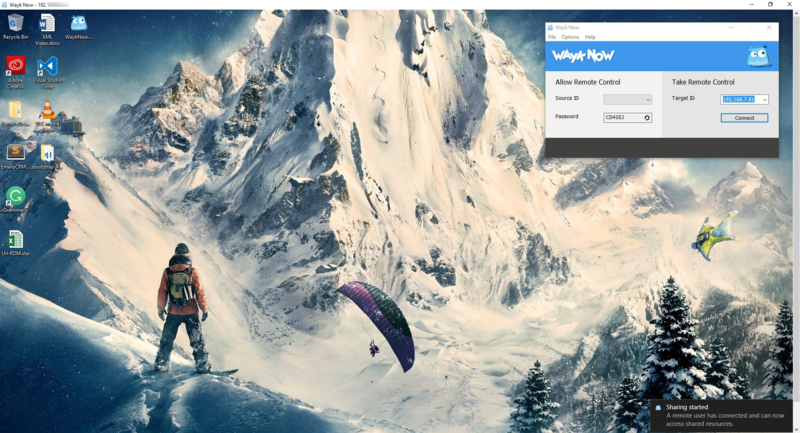 Wayk Now is a free cross-platform remote desktop and remote assistance software that is flexible, easy-to-use and lightweight. Cross-Platform: Easily provide support to users on almost any operating system like Windows, macOS, Linux, iOS and Android, all with the same rich feature set. Simple and Secure: Wayk Now has a very sleek user interface. Everything you need is right there; it is friendly, easy to use and highly secure. It uses strong TLS1.2 encryption and certificate validation to protect all your communications. Wayk Now is the ideal remote desktop access solution for personal use, IT professionals and executives alike. It’s free for personal and commercial purposes. 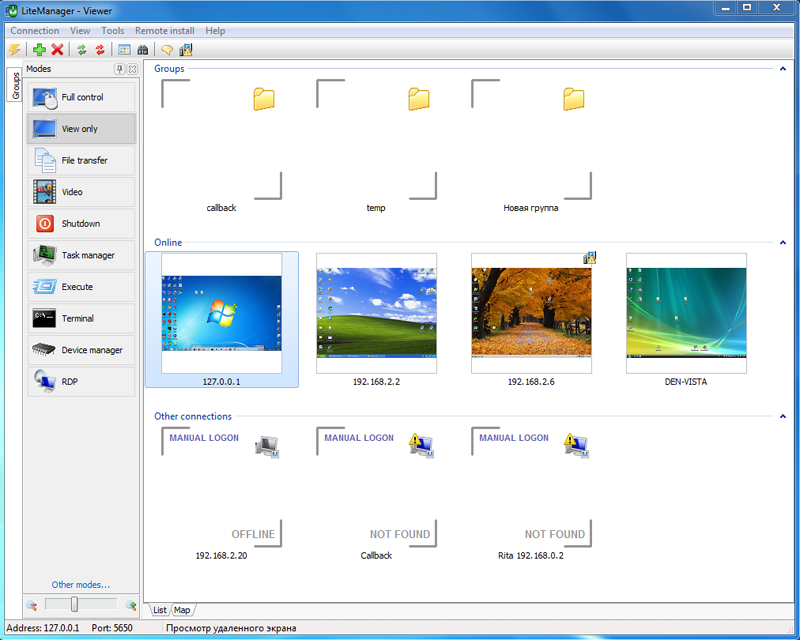 File sharing feature: TeamViewer has one of the easiest file sharing features on the market. 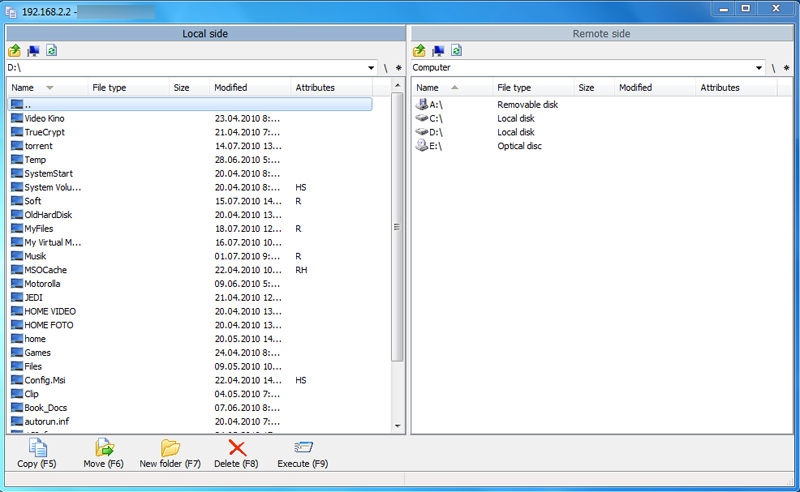 You can easily transfer files with the standard dual-window interface, or you can simply drag and drop from one computer to another. If you need to share just one piece of information, you could also do a simple copy-and-paste, thereby cutting out the need for a file transfer. 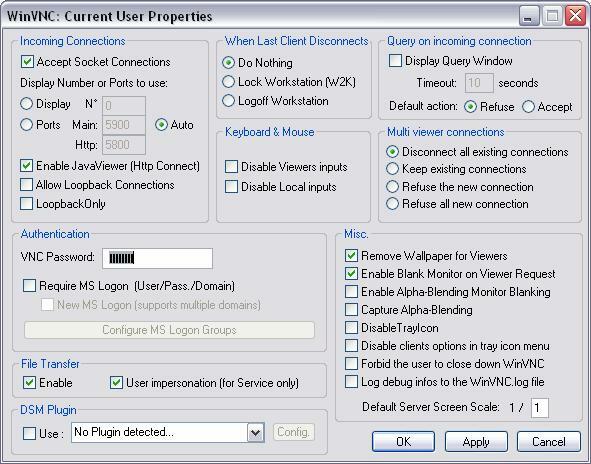 Connection Logs: The TeamViewer Management Console automatically logs your connection data. Combined with your individual comments, this documentation is perfect for invoicing and reporting. Not free for commercial use: TeamViewer cannot be used for free in commercial settings, and it might stop working if it thinks you're using it for commercial reasons. Complex security settings: Security is one of the major reasons a lot of people are searching for alternatives to TeamViewer. It does offer high-end security, but it is complicated to set up and if not properly configured, your system could be put at risk. Help and support: ConnectWise Control has numerous resources to help you learn how to use the software. In addition to a searchable knowledgebase, ConnectWise Control has how-to videos and user forums, as well as several ways to contact technical support. The support team can be reached by email, live chat or telephone. Great user interface: LiteManager Free is as user-friendly as it gets. It allows you to easily reposition panels where you’d like, while the main elements are positioned separately. The list of remote computers can be displayed in different styles: as regular icons, as a table or as thumbnails. 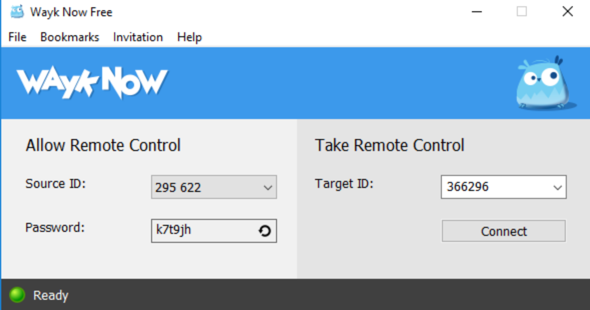 Remote commands: The ability to remotely execute commands and run console apps is great; you can, for example, install MSI packages on the remote machine and run power functions like Shutdown. Lite Manager Free is a great option for home and commercial use. All data are transferred over the network in a compressed and encrypted format using the most advanced technologies and key exchange protocols: a 2048-bit RSA signature key and a 256-bit AES session key. 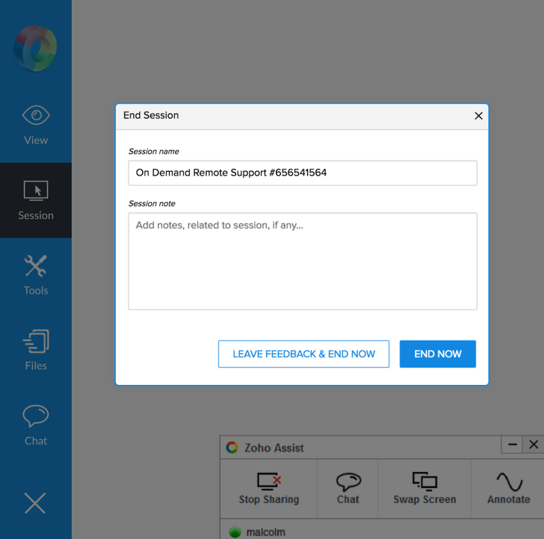 Zoho Assist is an easy-to-use, all-in-one, web-based solution for remote support, unattended desktop access, and screen sharing. Instant Chat: Zoho Assist offers instant messaging to quickly launch live chat with the user while in a support session. 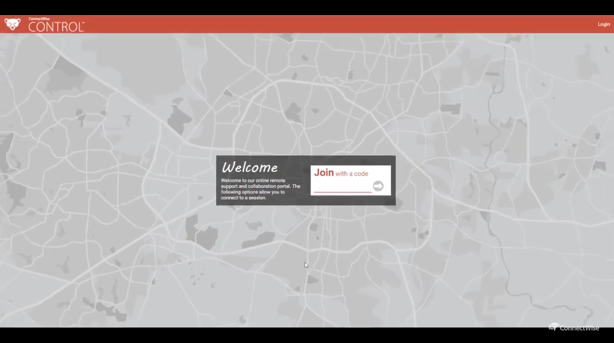 Easy-to-use: Zoho Assist is simple to setup and easy to use, even for non-techies. Simply generate a number, send a link to the end-user email address and from there, the user can easily follow the instructions provided, allowing the technician to quickly connect and offer support. File Transfer: Easily transfer files up to 2GB between devices. 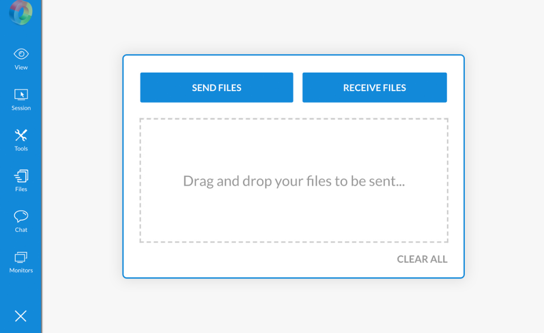 The transfer process is intuitive and synchronized, allowing you to send and receive files at the same time. 2FA Support: With security being on everyone’s mind, the fact that Zoho Assist supports multi-factor authentication to provide an extra layer of security is quite impressive. Use SMS and time-based OTP as a secondary factor of authentication to protect your information. Missing features: The Free version is indeed free, but is missing some basic features such as file transfer, multi-monitor navigation, mobile apps support, session recording and screen sharing, to name just a few. Unattended Access: I think that Unattended Access should be included in the Remote Support plan and shouldn’t be an extra to pay for since it really raises the price of licenses for small and medium businesses who would need that feature. Zoho Assist is a great remote access solution for small to medium businesses. It can also be a great solution for individuals who needs a simple remote control to support friends and family. Zoho Assist provides end-to-end SSL and AES 256-bit encryption.